High frequency ultrasound can provide both qualitative and quantitative data in the whole arena of aesthetics and plastic surgery. The EPISCAN can be a valuable tool in the assessment of all types of chronic wounds. 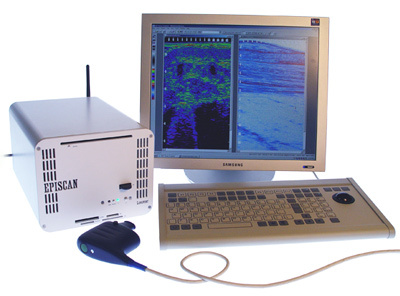 The EPISCAN is finding use in a wide range of research, testing and product validation activities in many fields. Longport is a Delaware corporation, incorporated in 1993. Since 1999 Longport's focus has been on high resolution medical ultrasound. Longport's mission is to become a premier provider of advanced, high resolution imaging systems that enhance the prevention, assessment and treatment of medical conditions. The annual cost of skin diseases in the USA is $45 billion; additionally over $10 billion is spent annually on aesthetic procedures. Longport’s technology can significantly impact many aspects of this market. The higher resolution and clarity of the images obtained using the EPISCAN set it apart from other mainstream ultrasound imaging systems.